Everything you do in each training session, in every personal interaction and in every program you design revolves around this one goal. If your athletes aren’t consistently reaching their potential then you’ve not done the best you can do as a coach. After all, if you could get all your athletes to reach their potential, youd have cracked the code that all coaches aspire to crack. How old is the athlete? What do they need to improve? And that’s just a starting point that doesn’t even touch on the time they have available, how motivated they are to train, what resources do you actually have available and a dozen other considerations that you’ve got to think about when you’re developing their program. Wouldn’t it be nice if you could just be handed a cookie cutter plan that magically ‘fit’ for every athlete you coached, regardless of age, gender or sport? Unfortunately – that approach doesn’t work. Young athletes and ‘one size fits all’ programs are a recipe for disaster. While they may look good on paper they’ll often do more harm than good. And you can’t just copy some ‘guru’s’ program because odds are that the elite athletes they train don’t look much like the local athletes you train. They’ve got world-class athletes and perfect circumstances and you’ve got overscheduled kids, limited resources and a multitude of other challenges to consider. So, If That’s The Problem, What’s The Solution? What you need is a simple, effective set of guiding principles and proven templates to use in guiding the direction of your training programs for maximum effectiveness while still enjoying the flexibility to optimize the actual program to fit each individual athlete. Not only will this make you’re work much, much easier – but it will also maximize the impact each program you design has for the athletes you coach. We’ve enlisted IYCA Expert and World Class Coach Wil Fleming to organize the IYCA’s programming philosophy, principles and practical methodology into an easy to use system that will allow you to quickly and easily design customized, highly effective training programs for each of your athletes that will yield massive results. The IYCA program design principles are simple and effective. No more being overwhelmed by minutia. No more reinventing the wheel. Simply employ these proven templates, adhere to the IYCA Program Design Principles and voilà, you’re ready to churn out program after program that you can be proud of and your athletes can trying benefit from. Why is there a need for better programming? Traditional programming based on principles of bodybuilding or even sport specificity will not cut it for today’s athlete. Learn why these systems do not work and what system you should use to get the best for your athletes. The need for sound programming for high school athletes is greater than ever before. Dated programming or cut and paste workouts can be replaced with great training programs backed by both science and in the trenches application. Why a method based approach is not getting your athletes the results they deserve. There are many methods to training athletes: Kettlebells, Olympic Lifting, Power Lifting, but what are the most useful for getting your athletes results? Learn to adopt a principle based approach that will allow you to easily choose the best methods for athletic success. Once the foundation is laid, you’ll discover the 9 Principles of programming that the IYCA uses to build champion high school athletes and the action steps to make them a part of your program. You need principles to guide your programming. Without defined principles your programs will be lost, adopt our 9 principles that have helped develop state champion teams and athletes, Division I scholarship winners, and high school All-Americans. Discover the 9 principles of programming that will make your programs the most effective in your market. Learn action steps for you to implement all 9 principles IMMEDIATELY. In this module you’ll discover the mechanics of programming and how to utilize our proven approach to employing periodization and what’s best for your athletes, proven Using periodization to get great results for your athletes. We’ll take an in-depth look at how to select the correct loads for strength training with your athletes. And ultimately we’ll eliminate sets and reps that don’t get your athletes better by using scientific and intuitive loading methods. How to use your assessment to design the best program for your athletes. Periodization explained, simply and to the point. The pros and cons of linear and undulating periodization. How to select the right exercises, the right loads, and the right sets and reps to get exactly the response you and your athlete want. Now the framework is in place and we can dive into the IYCA Program Design System. You’ll be provided with the templates that we use for athlete strength training, so that you can apply the principles of programming to design the best training for your athletes. You’ll also discover how to progress athletes through movement patterns with over 100 different exercises including photo illustrations across all movement categories (plyos, olympic lifts, push, pull, squat and hinge) and with full descriptions. But not only will you be provided with the templates you need, but you’ll also receive dozens of proven programs for athletes from various sports so you can see how everything works. The IYCA Program Design System is the world’s best solution for quickly and easily designing principled, highly effective training programs for your young athletes. Over 100 different exercises photographed. The best exercises in every movement category. Eliminate the need to “look up” the best new movements, they are all here for you. The IYCA Program Design System isn’t a magic bullet. You still have to commit to understanding the principles of effective programming. You still have to dedicate your self to being a great coach. The IYCA Program Design will simply allow all your hard work to yield much better results. The most effective (and only) strength training exercises required. How Much is Your Athletes’ Success Worth To You? Program design is ‘The Golden Ticket’ for you as a coach. …or don’t do it at all. Which is why people are willing to pay high prices for someone to create their programs for them. And it’s the most important part of coaching for anyone who wants to separate their athletes from the rest of the pack. In our role as coaches, the difference between developing successful athletes and ordinary athletes all comes down to small decisions with how we design and coach our programs. What would happen if you could take the guesswork out of those decisions and maximize the results for every athlete you coach? If this were a two-day workshop to teach you this much information AND give you the proven, plug and play templates, you should expect to pay at least $499.95. It’s that valuable – no question. It’s that simple. It’s that important. But because we’re making this information accessible to you in a home study format, we can reduce the price of the program from $499.95 to only $199.95 $149.95. You’ll get immediate online access to all 4 Program Design Modules, a library of over 100 exercises ready to be plugged into your programs, the templates you need to start applying the Program Design System and dozens of proven example program for you to model and learn from for a mere $149.95! "Your Success is 100% Guaranteed…Or Your Money Back"
We insist you order the IYCA’s Program Design System entirely at our risk. That’s why this program comes with a rock solid, 100%, 365 Day, Money Back Guarantee. If you don’t think The IYCA’s Program Design is the best resource you’ve ever seen on writing effective training programs for your athletes or question if you received a fair return on your original investment, simply let us know and we’ll refund you 100% of your purchase price, no questions asked. There is absolutely NO RISK on your part. Why are we so willing to take on all the risk? Of course we want you to be confident you’re not wasting your money. But we know this information is going to completely change your athletes and your training program. No other resource is created specifically for young athletes. And that’s why everything you find is so technical and complicated. …Or we’ll give you your money back, no questions asked. YES! 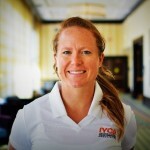 I want to discover the exact program design strategies, techniques and system that will help my athletes reach their potential. I understand I will receive all of the Program Design Modules that will give me the foundation for coaching success. I will also receive a complete library of the exercises I need to utilize in the programs I’ll be designing complete with pictures and descriptions. I also understand that I’ll be receiving not only the proven templates to build my program with, but also dozens of successful program that I can model and learn from. I even get a full 365 days to decide if I like the program. If I am unsatisfied for any reason I can get 100% of my money back. There is no risk at all for me. Make this the year ALL of your athletes reach their potential! P.S. 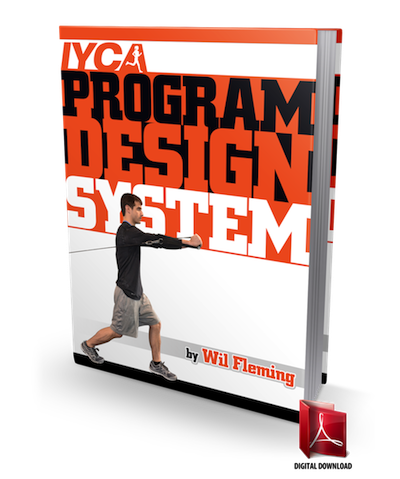 – Order the IYCA’s Program Design System and get immediate access to all 4 Training Modules, the full exercise library, program design templates and proven training programs for only $149.95. P.P.S. – You can reenergize your training and write effective programs whether you’re a first year coach or a seasoned veteran. Just follow the simple, flexible and proven program design concepts presented in The IYCA Program Design System. If it’s too much or doesn’t work for you, We’ll refund 100% of your purchase price. No questions asked. We’ll even give you a full 365 days to decide.